Acting Polish president Bronislaw Komorowski has set the date for early presidential elections in Poland for Sunday June 20, the official Polish Parliament website said. The elections were originally scheduled to be held this autumn, but had to be moved forward due to former President Kaczynski's death on April 10 in a plane crash in western Russia. The crash also claimed the life of the president’s wife Maria and 94 others, including many of the country's civilian and military leaders. Last week, Komorowski told Poland's TVN24 channel that it was "absolutely necessary" to set the election date as soon as possible to overcome the period of uncertainty following Lech Kaczynski’s death. Komorowski, who is also the Speaker of the Parliament, will be a candidate in the upcoming elections for the Civic Platform, the political party founded by Polish Prime Minister Donald Tusk. 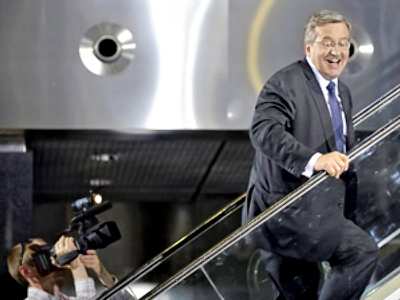 With presidential elections two months away, Komorowski is presently the only confirmed candidate in the running. His previous likely competitors in the race – President Kaczynski, and the Democratic Left Alliance’s Jerzy Szmajdzinski – both died in the plane crash near the city of Smolensk, on Russia’s border with Belarus. In a recent survey conducted by TNS OBOP polling center, Bronislaw Komorowski ranked highly among Poles as their favorite contender. The survey indicated that Komorowski would win about 55 per cent of the popular vote if a second round of the elections were held, and would beat out the late president's twin brother Jaroslaw Kaczynski, the leader of the Law and Justice Party, who would gain approximately 32 per cent of the vote. Jaroslaw Kaczynski, whose brother Lech's standing in the public opinion polls was on the wane before the crash that took his life, has so far not declared his candidacy in the upcoming elections, yet there is reportedly strong pressure inside of his party for him to accept his party’s nomination. 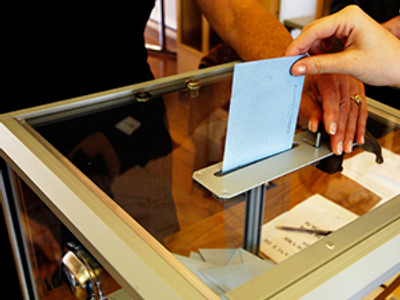 According to Poland’s electoral process, if no candidate wins at least 50 per cent of the vote in the first round, then a second round should be held two weeks later, on July 4. 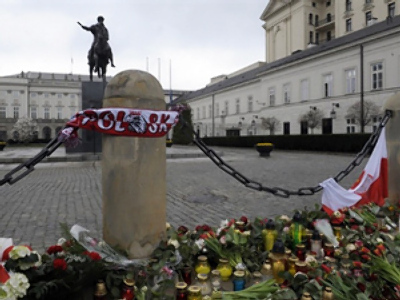 Poland is still reeling from the horrific air crash that killed dozens of the nation’s leading politicians and civilians, who were on their way to pay tribute to the victims of Katyn, where some 20,000 Polish officers were executed by Soviet secret police in 1940. The late president Lech Kaczynski and First Lady Maria were laid to rest in Krakow on Sunday.